With this contemporary bar with lots of storage you can add a sleek look to your entertainment room. 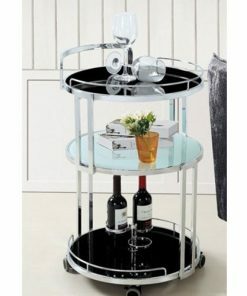 The modern bar unit is in a black finish. 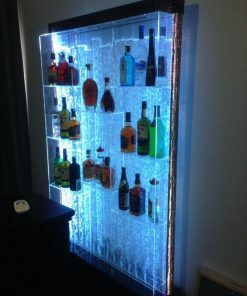 Glass panels will show off your favorite bottles and create a stylish look. Simple silver tone contemporary metal hardware completes the stylish look. Front Bar Counter can be bought to complete the set. YOU ARE ACCEPTING ALL OF THE BELOW TERMS AND CONDITIONS WHEN PLACING AN ORDER ONLINE, OVER THE PHONE OR IN PERSON WITH OUR SALES TEAM. THIS INCLUDES COLLECTION FROM OUR WAREHOUSE. AT THIS TIME, WE DO NOT ACCEPT INTERNATIONAL ORDERS THROUGH OUR WEBSITE. DISPATCH – All orders are dispatched from our Melbourne Warehouse. We endeavor to dispatch orders within 3-7 business days of receiving full payment during normal business times of the year. There may be exceptions such as the Christmas and New Year period when this will be longer. IN-STOCK/BACK-ORDER ITEMS – Unless otherwise arranged and agreed with the Sales Team, all orders will be shipped together. This includes back-ordered and advance order items. If ordered with an In-Stock item, the entire order will be shipped as one order once the outstanding stock is available. In the unlikely event that your item is out of stock, we will contact you within 2 working days to discuss if you wish to backorder the item, offer an alternative (wherever possible) or for us to issue a full refund (this does not apply to “pre-order items”). DELIVERY PROCESSES – We use several carriers and will choose a carrier based on the item size, and the delivery address. For all orders, you will receive an email from us stating which carrier your item has been dispatched with and you will then receive further instructions from either ourselves or the relevant carrier. Please see below for more specific information regarding size of deliveries and location. WHERE WE DELIVER TO – All deliveries are to the front door-step of a ground floor dwelling only. We deliver door to door Australia Wide* (*door to door delivery only applies to areas where a carrier will deliver to. There may be cases in regional or remote areas where delivery stops at a Service Centre or the nearest storage facility or depot. In these cases, customers must then arrange to have their goods collected at their own cost). All deliveries & delivery date bookings are made on a “Best Endeavour” basis. There may be times where due to unforeseen circumstances, out of our control, a delivery cannot be made. Ourselves or the carrier will endeavour to contact you either prior to or on the date of delivery should this arise. We cannot and will not accept claims or liability for damages or costs arising from the non-delivery under any circumstances. The carrier does not offer refunds for late or non-deliveries as they will arrange an alternative delivery date. As such we do not offer any refunds on the cost of freight paid on your order, unless the order is not delivered at all. WHEN WE DELIVER – The carriers that we use only deliver during office hours only, no weekend or after hours’ deliveries can be made. They do not deliver on public holidays. STEPS/STAIRS/LIFTS – The carriers we use will not deliver upstairs, up steps or via lifts. Delivery is to a ground floor doorstep only. CHANGE OF ADDRESS – Any change of delivery address made once your order has been dispatched may well incur a surcharge, this is set at that time by the carrier and will need to be paid for prior to any delivery address changes being applied to the delivery. Please also note that the delivery charge may be greater to a different postal address than the original price paid. If this is the case, the difference in price will need to be paid for in addition to any surcharges and also in advance of any changes being made. Most items are shipped via different carriers based on area and size of packages. Please note that we may provide an approximate delivery time frame once your order ships, however we advise on all Interstate Orders to allow a minimum of 14 business days, and 21 business days as a worst case scenario to allow for circumstances beyond our control, this includes peak season delivery periods such as Christmas. ENSURING YOU ARE AT THE DELIVERY ADDRESS – With the exception of small items sent, where Authorisation to Leave MAY be arranged, (see small orders below) – there must be someone at the address to receive, check and sign for the delivery. As per our standard delivery terms, the carriers do not usually call before, even if we request this. On larger items your assistance will be needed to unload, please see below. LARGE ITEM DELIVERIES – The freight price includes one carrier driver only, and on larger assembled items the carrier driver will require assistance unloading the goods from the vehicle. This is in accordance with Australian Health and Safety Legislation. If you do not have assistance available, then a tail lift truck OR two-man team may be required to lift the goods from the vehicle and you must contact us before purchasing so that a quote for this can be provided. This must be paid for prior to any delivery being made. Please note that goods will however still only be delivered to the doorstep of a front door. Please DO NOT agree to the Terms & Conditions of purchase if you cannot assist the driver, as this will result in both a failed delivery fee, and a re-delivery fee at your own cost. If you cannot assist, please contact us for a quote for assistance. We cannot and do not accept any responsibility for any damages where the carrier, with or without the Customers permission, or at the Customers request, has taken furniture inside the customers’ premises. This is at the Customers’ own risk and we do not authorise the driver to do this. SIGNING FOR THE DELIVERY – In all cases, the goods must be inspected at the point of delivery. If the carrier will not wait, then the boxes must be inspected for any external damage at the very least and noted on the carriers’ paperwork. If the goods are signed for in “good condition” then any damage claims cannot be upheld, nor will replacement products or refunds be issued. In all cases, all damages, out of the box faults or imperfections must be reported to us within 24 hours of receiving the goods – Please see “REPORTING OF ALL ISSUES” below. REDELIVERIES & FEES – Unless Authority to leave has been specially arranged for smaller items and lower value orders, in all cases it is the Customers’ responsibility to be at the delivery address on the date of delivery and conform to all delivery criteria, such as assisting the driver with large items. If the carrier is unable to deliver the items for any of the reasons set out in our shipping terms, the customer may be required to pay a failed delivery fee, and a re-delivery fee prior to any re deliveries being made or booked in. Any items returned to us as non-deliverable will incur delivery costs back to us and a re-delivery charge back to the customer. These exact charges will be advised at the appropriate time. No items will be shipped out for a second time without prior payment of the incurred return freight to us and re-delivery charges to the customer. If the products are damaged upon being returned to us due to un-deliverability at no fault of ours, the customer will not be eligible for a refund or an exchange and return and outbound freight costs will still apply. We reserve the right to charge for additional deliveries after the first attempt has been made as we may be charged by the carrier. Items unable to be delivered will be returned to the Carriers” Depot Warehouse and a re-delivery fee may be required to be paid prior to re-delivery being arranged. 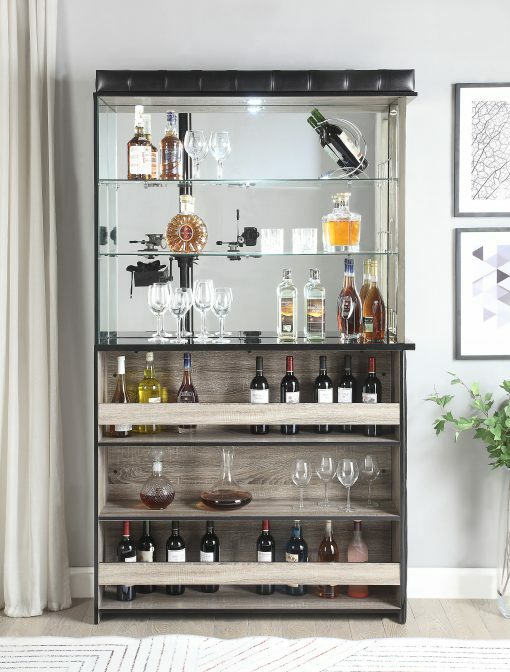 Home BARS Furniture & Decor does not accept any responsibility for any claims for losses, loss of time, money or inconvenience incurred by carrier delays and/or damages. You are covered for transit damage provided you let us know in writing within 24 hours of receipt of your delivery and in accordance with our terms as laid out here. Photographic evidence will be required. This time stipulation is based on calendar days, not business days, and includes weekends. TIME STIPULATIONS – In all cases, all damages, out of the box faults or imperfections must be reported to us in writing within 24 hours of receiving the goods. This time stipulation is based on calendar days, not business days, and therefore includes weekends. If received on a Friday, we must have notification of the damages in writing, within 24 hours, in this example, by the Saturday. Customers MUST ensure that they inspect and thoroughly check their item(s) on receipt of their delivery. If any items are damaged, delivery of that item(s) can be refused or must be marked on the carriers’ records as damaged. No exceptions. Do not sign the carriers’ documents until you have inspected the goods. If the carrier will not wait, then the boxes must be inspected for any external damage at the very least and noted on the carriers’ paperwork and the contents checked within 24 hours. In most cases of transit damage there will be visible damage to the external box. Whatever the circumstances and without exception, if you sign for the goods in good condition we cannot uphold transit damage claims. We cannot replace/refund products that are damaged or have out of the box faults or imperfections and have not been reported to us within 24 hours. Damages, out of the box faults or imperfections cannot be rectified after this time has expired. No exceptions will be made. All original packaging must be retained for damaged goods as the transport company may wish to inspect this. As well as requiring images of the item in question, we may also request images of the boxes. Verbal reports over the telephone will not be accepted as a formal report. If we do decide to collect any damaged items, we also require any collections of damaged goods to be in the original packaging without exceptions – see below. PACKAGING – In all cases, customers must keep the original packaging until they are happy with their order and they have inspected and checked their item(s) thoroughly. Do not discard or destroy the original packaging until the items have been checked. If eligible for a collection service, item(s) will be need to re-packed for collection by the carriers. We cannot collect damaged items where the packaging is not sufficient for the return journey. COLLECTIONS/NONE COLLECTIONS OF DAMAGED ITEMS – We reserve the right to not collect damaged goods. In most cases, provided photographic evidence has been provided, we may ask the customer to either keep or dispose of the damaged item(s). We will, in accordance with our Terms and Conditions, replace damaged items. The customer agrees to be bound by these delivery conditions upon placement of order by any method. In the event of reported damages in accordance with our Terms and Conditions, and provided we accept to collect the damaged goods, we will arrange a carrier collection on a date to suit you, this has to be a business day. Please note that the delivery company that we use will not deliver and collect items on the same day, this has to be two separate jobs. Therefore, if a damaged item does need to be collected, the customer will be required to be available during an allocated business day. The damaged item must be re-boxed securely in the original packaging. The carriers will not collect any item without this. Please note that once the goods are signed for, the buyer takes full responsibility of the goods. FOR ALL REPORTS OF DAMAGES/SHORTAGES/OUT OF THE BOX IMPERFECTIONS, PLEASE SEE “REPORTING OF ALL ISSUES” BELOW. You agree to all of our Shipping and Delivery Terms and Conditions when you collect goods from our warehouse. A disclaimer will be provided for you to sign for the goods, and as such inspection of the boxes will be required. WHAT YOU MUST BRING: Orders where shipping option “COLLECTION FROM WAREHOUSE” has been selected can be collected from our Melbourne Warehouse. The address is Shop 15/428 Old Geelong Road, Hoppers Crossing, VIC 3029 between our operating hours. We will require a copy of the sales invoice that we emailed directly to you, and if paid for by credit card, we will require the cardholder to be present so we can verify the signature. IDENTIFYING & REPORTING DAMAGE INCLUDING BOXES – In all cases, all damages, out of the box faults or imperfections must be reported to us within 24 hours of collecting the goods. We cannot replace/refund products that are damaged or have out of the box faults or imperfections and have not been reported to us within 24 hours. Damages, out of the box faults or imperfections cannot be rectified after this time has expired. No exceptions will be made. PACKAGING – In all cases, customers must keep the original packaging until they are happy with their order. Do not discard or destroy the original packaging until the items have been checked. As well as asking for images of the item in question, we may also ask for images of the boxes. As stated above, we will then require all item(s) to be returned to us at an agreed time. PLEASE NOTE: WE DO NOT ACCEPT COLLECTION BY PRIVATELY BOOKED THIRD PARTY CARRIERS. COLLECTIONS ARE EITHER IN PERSON OR BY A NOMINATED INDIVIDUAL (NOT A PROFESSIONAL CARRIER COMPANY) WITH PROOF OF ID REQUIRED ON COLLECTION. ALL ORDERS WILL BE DISPATCHED BY OUR SELECTED CARRIERS AND BOOKED BY US ONLY. 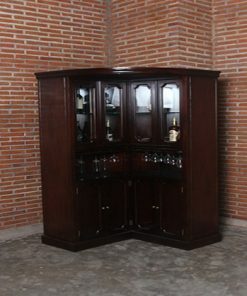 At Home BARS Furniture & Decor we want our customers to be completely satisfied with their purchase. 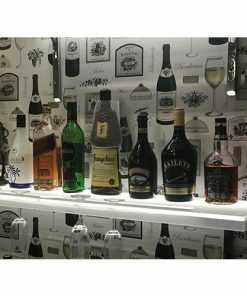 As well as reading and accepting our Shipping & Delivery Terms & Conditions, we also recommend you read our Refund, Return and Repairs policy prior to you making a purchase from HomeBars.com.au. This will ensure that you are familiar with our policy on Refunds, Returns and Repairs, and your rights under the Australian Consumer Law. You must immediately inspect any goods that we deliver to you or that you collect. Where the goods need to be assembled to use, please ensure all parts are included and no damage or unacceptable condition to any part visible before assembling the unit. To ensure you are completely satisfied with the goods, including that the goods are of acceptable quality, and match the description we have provided to you. Please choose carefully as refunds are not normally provided where you have simply changed your mind, made a wrong selection or simply found the goods cheaper elsewhere. We recommend you carefully preview any orders before proceeding with your order. All floor-stock items are purchased in “as is” condition. Some floor-stock items may warrant a discount, these items are non refundable and sold in an “as in” condition. All Items MUST be inspected prior to purchase. Many Floor-Stock and ex-display items may have slight marks/damages or be discontinued. It is the responsibility of the customer to inspect their items prior to purchase as sold in as is condition. Any damage incurred from the transportation and/or in-home use of floor-stock/ ex-display items is not the responsibility of Home BARS Decor & Furniture. 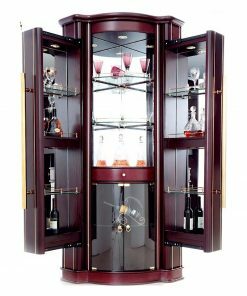 Most Home BARS products comes with assembly instructions for customer to assemble the bar cabinets at home, easy-to-follow instructions will be included in your order. However if you prefer, we can send you the assembled goods, but please note for assembled good, there will be an extra service charge for assembly and postage cost will increase due increase in. Talk to our friendly staff of the quote for your order. We therefore recommend you read our Refund, Return and Repairs Policy prior to you making a purchase from HomeBars.com.au or Home BARS in-store, so you are familiar with our policy on refunds, returns and repairs and your rights under the Australian Consumer Law. We also recommend you immediately inspect any goods that we deliver to you or that you collect, to ensure you are completely satisfied with the goods, including that the goods are of acceptable quality, and match the description we have provided to you. -Any damage caused by accident, abuse, neglect, negligence. -Any damage caused by improper handling such as over-tightening the handles, dragging the furniture or using corrosive solvent to clean the furniture. -Any damage directly or indirectly caused by unprofessional assembling, unauthorised repair, alteration, modification or act of God. The purchaser must provide proof of purchase. We reserve the right to determine whether the goods shall be replaced. Non-manufacturing/material issues (including damage caused after pick up/or during unpacking or assembling) are not covered under warranty. Warranty does not extend to showroom floorstock, seconds or clearance items. We recommend you carefully preview any orders before adding them to your shopping cart and proceeding with your order. We do not offer “change of mind” cancellations. If a customer wishes to cancel an order for “change of mind”, we may at our discretion decide to agree to this, and provided we do agree to this we reserve the right to charge an administration/cancellation fee and/or storage fee pertaining to the order and total order value. This will be a minimum of 30% up to 50% and will be calculated on a per order basis by us. In all Instances If we do offer a return in accordance with our stated terms, the item(s) must be unused and unopened and returned in the same condition that they were sent including the original packaging. The full return delivery cost is to be borne by the customer. If the item(s) are returned to us in less than new condition or damaged in any way, we reserve the right to cancel the refund of the Item(s). If any returned items are received damaged or in an opened and used state upon inspection, we reserve the right to refuse a refund and the customer will be liable and responsible for all freight and freight charges to have the item(s) collected and returned to them. Regrettably, self assembly items cannot be returned once assembly is part or fully completed, unless they do not comply with the description given, are faulty, or are not fit for any stated purpose. Content and images on this website is intended to provide a guide only and any errors or omissions are unintentional. Due to variables such as but not limited to colour variations on computer monitors, individual computer display settings and lighting conditions, Home BARS will not accept responsibility if there is a slight difference in colour between products and photos on the website. 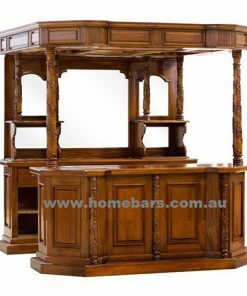 Home BARS cannot gurantee the continuation and replication of a product finish or product colour when products are purchased at differing times. To ensure that products colours and finishes match, we advise that the required products be purchased at the same time. We will accept no liability or returns where a product has been purchased at a later date and the latest product ordered does not match exactly the finish or colour of a previously ordered product. Some of the Home BARS products are hand finished products; slight variations in colour and small imperfections are part of the character of the product and/or material and should not be considered defects. All products supplied with instruction sheets should be assembled, stored and/or installed after carefully reading and following the instructions. We will not be responsible for damages or breakages occurring as a result of ignorance or non-compliance with instructions sheets. Dependent upon part damage or full damage of the shipment in accordance with the following delivery & returns terms and conditions, It is on Home BARS discretion to see if the whole unit to be replaced or part can be replaced. • Collection with full refund – This only applies to single Item orders or damage to all Items of a multiple consignment. We reserve the right to replace damaged items that form part of a multiple consignment. The receiver is also required to supply supporting photograph evidence of the packaging and damaged area. Do not discard packaging material and damaged parts as they may need to be inspected by the transport company. In all cases, the goods MUST be inspected at the point of delivery, if the goods are signed for in “good condition” then any damage claims cannot be upheld, nor will replacement products or refunds be issued. If any items are damaged, delivery of that Item(s) can be refused or MUST be marked on the carrier’s records as DAMAGED. No Exceptions. *Please note: We reserve the right to not collect damaged items. We will in accordance with our terms and conditions replace damaged items, however the damaged items may need to be kept/discarded by the customer in some cases due to high freight collection costs. We will advise on a case by case basis. The customer agrees to be bound by these delivery conditions upon placement of order by any method. All refunds, either part or in full, will only be issued once the damaged, incorrect or faulty Items are received back at our warehouse and have been booked in and Inspected. We cannot refund any part of an order until the goods have been received back under any circumstances.. In the event of reported damages, and provided we agree to collecting said damaged items. We will arrange a carrier collection on a date to suit you, this has to be a business day. We need someone to be at the address for the whole day as we cannot specify a specific delivery time. This is at no cost to the customer in the event of receiving damaged goods, provided all of our delivery terms and conditions have been met. If no-one is at the address when the carrier calls, any further carrier bookings or collections will either need to be paid for by the customer in advance or the customer will need to arrange their own product(s) return via their own carrier. We will email you the carrier consignment collection paperwork. This must be printed out and attached to the cartons being returned. If you have collected or are collecting products from our warehouse in person, any transit damage is at your own risk. We cannot accept any responsibility for items damaged in transit that have been collected in person. We recommend to inspect the Items before taking away. All orders will require to be signed for in good condition. If customers wish to remove protective packaging to enable them to transport the products, we accept no responsibility for any damages once they leave the warehouse. Any issues regarding faulty, incorrectly supplied or damaged orders that have been collected must be returned to the warehouse at the customers own expense either in person or via a third party delivery service. We will not be held liable for any return carriage costs where the order has been collected. When purchasing from Home BARS website or in-store you are accepting and agreeing to all of the following terms and conditions with no exceptions. All Prices are shown and quoted in Australian Dollars and are GST inclusive. Most products available in store are in stock otherwise informed of any stock coming soon or available on backorder. In the case of item shortages, the customer will be contacted and order supplied when goods are in stock. Special offers cannot be used in conjunction with other offers. No rain checks or laybys are offered. All orders placed, either over the telephone, online or in person at our showrooms are legally binding and you are accepting our terms and conditions as laid out below. Once an order has been placed, we reserve the right to decline a refund if the customer simply decides to change their mind for whatever reason. Refunds/replacements etc, all fall under standard guarantees and warranties as laid out in the consumer laws of Australia and this does not affect your statutory rights. * Any damage caused by accident, abuse, neglect, negligence. * Any damage caused by improper handling such as over-tightening the handles, dragging the furniture or using corrosive solvent to clean the furniture. * Any damage directly or indirectly caused by unprofessional assembling, unauthorised repair, alteration, modification or act of God. Non-manufacturing/material issues (including damage caused after pick up/or during unpacking or assembling) are not covered under warranty. This warranty does not extend to showroom samples, floor-stock, seconds or clearance items. Showroom samples, floor-stock and clearance items carry a 30 day return to base warranty only. 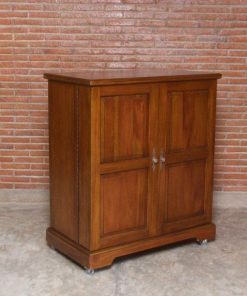 This will only apply to moveable part issues and this will not cover any cosmetic issues as the product was "sold as seen"
By placing an order or registering an account on our site you are opting in to receive regular newsletters and/or special offers from Home BARS Furniture & Decor. We do not sell or redistribute your information to any 3rd parties. You can choose to opt out of these offers via an "unsubscribe" link in the newsletter footer at any time. Where an order is placed and "collection from the warehouse (Pickup)" or a freight delivery is selected or chosen by the customer, unless agreed in writing by us, we expect these orders to be collected or shipped within within 7 business days. Any orders not collected after that time can be subject to a daily storage charge of $25 per day. We reserve the right to charge this storage fee at our discretion. We do not offer "change of mind" cancellations. All stock is allocated to the customer at the point and moment of sale. This applies to both in stock items and pre-order items. If a customer wishes to cancel an order for "change of mind" (buyers remorse) for whatever reason, In remote cases we may at our discretion decide to agree to this, and provided we do agree to this we reserve the right to charge an administration/cancellation fee, pick pack and return to stock fee, and/or storage fee pertaining to the order and total order value. This will usually be a minimum of 25% and will be calculated on a per order basis by us. We reserve the right to, and at our descretion offer a credit for the product(s) only for change of mind items. This would need to be used against purchases of products from our business only within a 3 month period of date of issue. The credit will only apply to the value given and additional payment will be required should the customer wish to purchase a higher value item. We will not issue a refund for any remaining monies left on an issued credit. In all cases the products must be unused/unopened and returned in the same condition they were sent in the original packaging. If any returned items are received damaged or in an opened and used state upon inspection, we reserve the right to refuse a refund and the customer will be liable and responsible for all freight and freight charges to have the item(s) collected and returned to them. If an order has been dispatched, and we accept a request to cancel the order, the return freight cost is to be covered and borne by the customer. This will be calculated at that time and is to be paid prior to us authorising the carrier to return to sender. If the item(s) are returned to us in less than new condition (unused) without all parts or damaged in any way (this includes the packaging) we reserve the right to cancel the refund of the Item(s). The customer would then be responsible for the collection of the item(s) and all and any costs associated with this. We advise customers to purchase freight damage/loss insurance for any authorised returns. Any AfterPay orders cancelled and returned to us subject to & in accordance with our terms & conditions, will be subject to a minimum 5% deduction (merchant fee) on the agreed amount to be refunded. This is to recoup the commission paid to AfterPay to facilitate your loan with them. All pre-order due dates are provided on a best endeavor basis and we cannot guarantee that these are the exact due dates. In the event of any delays to the forecasted due date we will advise the customer accordingly. In all Instances If we do offer a return or cancellation in accordance with our stated terms. Please note there can be extreme and unusual cases where Items are misplaced and temporarily lost by the carrier. This can also vary during peak delivery seasons such as Christmas. Please call or message us for an estimated delivery time to your postcode. In all cases where an order has been placed and then shipped out, we cannot accept cancellation of such orders, as we have fulfilled our legal obligations to supply. If there is an issue with the carriers in terms of delivery, the customer must contact us within 24 hours or a maximum of 3 days in writing to notify us of any shortage or loss. We reserve the right to ask the carrier to track and locate the Items shipped. If 30 business days have expired from the date of shipment of order, and the Items have not been located by the carrier, we will accept customer claims (only where we have been notified in writing within the given time frame of any loss or shortage) to cancel and refund the order in full. Any Item ordered as an "advance order Item" is immediately allocated to the customer. This is either on the shipment coming in or the production run at the factory. As such we cannot accept a "change of mind" when placing orders for "advance order" Items, regardless of whether the order has been shipped or not, as all product availability Information is provided in the Item listing Information and at checkout. We have to show "advance order Items" as "In Stock" in able for the customer to be able to purchase the Item through our online store. However, we clearly state and show if the Item is an "advance order Item" or not in the product overview Information. We also try to show as accurately as possible the anticipated delivery date to our warehouse of the advance order Item. If a customer requests us to store an order in our warehouse before shipping or collection for a period of time agreed and set by Home BARS at our discretion, the order is legally binding. The price paid for any order that is stored by us for a customer is set, and we will not amend the price paid at the time of the purchase regardless of the future sale price increasing or decreasing. All and any damages/shortages or imperfections on products received or collected from our warehouse MUST be notified to us in writing within 24 hours. We cannot accept responsibility or liability for any damages, shortages or Imperfections reported after this time frame. IN-STOCK/BACK-ORDER ITEMS - Unless otherwise arranged and agreed with the Sales Team, all orders will be shipped together. This includes back-ordered and advance order items. If ordered with an In-Stock item, the entire order will be shipped as one order once the outstanding stock is available. In the unlikely event that your item is out of stock, we will contact you within 2 working days to discuss if you wish to backorder the item, offer an alternative (wherever possible) or for us to issue a full refund (this does not apply to "pre-order items"). WHERE WE DELIVER TO - All deliveries are to the front door-step of a ground floor dwelling only. We deliver door to door Australia Wide* (*door to door delivery only applies to areas where a carrier will deliver to. There may be cases in regional or remote areas where delivery stops at a Service Centre or the nearest storage facility or depot. In these cases, customers must then arrange to have their goods collected at their own cost). All deliveries & delivery date bookings are made on a "Best Endeavour" basis. There may be times where due to unforeseen circumstances, out of our control, a delivery cannot be made. Ourselves or the carrier will endeavour to contact you either prior to or on the date of delivery should this arise. We cannot and will not accept claims or liability for damages or costs arising from the non-delivery under any circumstances. The carrier does not offer refunds for late or non-deliveries as they will arrange an alternative delivery date. As such we do not offer any refunds on the cost of freight paid on your order, unless the order is not delivered at all. CHANGE OF ADDRESS - Any change of delivery address made once your order has been dispatched may well incur a surcharge, this is set at that time by the carrier and will need to be paid for prior to any delivery address changes being applied to the delivery. Please also note that the delivery charge may be greater to a different postal address than the original price paid. If this is the case, the difference in price will need to be paid for in addition to any surcharges and also in advance of any changes being made. ENSURING YOU ARE AT THE DELIVERY ADDRESS - With the exception of small items sent, where Authorisation to Leave MAY be arranged, (see small orders below) - there must be someone at the address to receive, check and sign for the delivery. As per our standard delivery terms, the carriers do not usually call before, even if we request this. On larger items your assistance will be needed to unload, please see below. SIGNING FOR THE DELIVERY - In all cases, the goods must be inspected at the point of delivery. If the carrier will not wait, then the boxes must be inspected for any external damage at the very least and noted on the carriers’ paperwork. If the goods are signed for in "good condition" then any damage claims cannot be upheld, nor will replacement products or refunds be issued. In all cases, all damages, out of the box faults or imperfections must be reported to us within 24 hours of receiving the goods – Please see “REPORTING OF ALL ISSUES” below. TIME STIPULATIONS - In all cases, all damages, out of the box faults or imperfections must be reported to us in writing within 24 hours of receiving the goods. This time stipulation is based on calendar days, not business days, and therefore includes weekends. If received on a Friday, we must have notification of the damages in writing, within 24 hours, in this example, by the Saturday. Customers MUST ensure that they inspect and thoroughly check their item(s) on receipt of their delivery. If any items are damaged, delivery of that item(s) can be refused or must be marked on the carriers’ records as damaged. No exceptions. Do not sign the carriers’ documents until you have inspected the goods. If the carrier will not wait, then the boxes must be inspected for any external damage at the very least and noted on the carriers’ paperwork and the contents checked within 24 hours. In most cases of transit damage there will be visible damage to the external box. Whatever the circumstances and without exception, if you sign for the goods in good condition we cannot uphold transit damage claims. We cannot replace/refund products that are damaged or have out of the box faults or imperfections and have not been reported to us within 24 hours. Damages, out of the box faults or imperfections cannot be rectified after this time has expired. Content and images on this website is intended to provide a guide only and any errors or omissions are unintentional. Due to variables such as but not limited to colour variations on computer monitors, individual computer display settings and lighting conditions, my-furniture.com.au will not accept responsibility or returns if there is a slight difference in colour between products and photos on the website. All products are available to be viewed in person at our Melbourne showroom.